We keep only a couple of stud dogs today as our breeding is now limited. We have not included pedigrees here, but have given names of parents, and in some cases grandparents. Complete pedigrees are available on request . 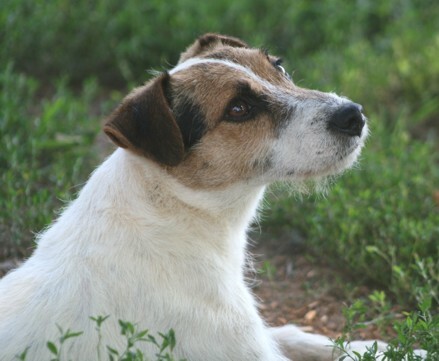 In the "history" section, you will see pictures and names of some of the other terriers who have been a prominent part of our breeding program. Pictured above is Briarpatch Boone.... this photo depicts Boone's the keen, intense and kind expression of this little dog.